If you’re looking for home or commercial cleaning services in the Oakville area, use ImRenovating.com to find exactly what you need. 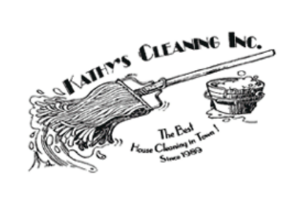 Our listed housecleaners and janitorial services offer thorough cleaning services including windows, kitchens, bathrooms, toilets, bathtubs, bedrooms as well as garages, laundry rooms, and even attics. Serving both residential and commercial clients, our listed cleaning service providers offer the best in care for any space you may have. All of our listed professional cleaners and commercial janitors adhere to strict professional guidelines and are insured for your protection. When you don’t have time to clean but want to remain living in a pristine and spotless environment, contact one of our Oakville area cleaning service experts today. 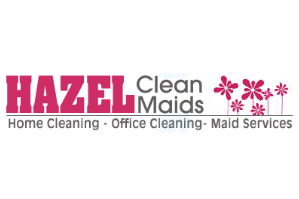 Maid and Cleaning Services in the Oakville area provides flexible and reliable >home cleaning solutions by bringing their own cleaning supplies and equipment directly to your residence or place of business. A typical cleaning service for your home or office cleaning service would include detailed cleanings of bathrooms and kitchens, complete vacuuming of every room, and a total dusting of baseboards, pictures, lampshades, lighting fixtures, and windowsills. For those times when something special is required, our listed maids offer customized services such as waxing floors, polishing silverware, organizing closets in addition to the general cleaning. Imagine coming home to a crisply made bed, sparkling sinks and mirrors, and a shiny spotless floor. The cleaning service specialists in the Oakville area are here to make this vision a reality. Our trusted cleaning specialists are thoroughly trained in the latest environmentally friendly and green cleaning products, tools and superior cleaning techniques and take pride in every space they touch. If your home or office has animals or children living there, you can rest assured that they will be safe. Many of our listed cleaning companies have environmentally safe cleaning options available in addition to the usual list of household cleaning products. Our listed cleaning contractors shine brighter than any other, and if your space requires an added touch, all you need to do is ask. Our Oakville area maid services hire and train cleaning specialists with the utmost integrity who love what they do, creating a trusting experience for both clients and staff alike. Due to this relationship, our listed cleaners have staff that is dependable, trusted and fully insured. This attention to detail allows you to feel completely safe while you allow our cleaning experts to service your home. If you work at a commercial establishment, it is likely that you have run across a commercial cleaning company or commercial janitorial cleaning around your office desk or carpet shampooing or in more heavily traveled carpeted areas, it may be necessary to deep clean the carpeting with a steam cleaning process. It’s nice to come into a work environment knowing the toilets have been cleaned and sanitized for your health and safety and when you are looking for a new reliable and bonded commercial janitorial service, many of our Oakville area house cleaning professionals have no-obligation in-home or at the office free written estimates to give you an idea of the potential cost. Our commercial cleaning contractors are the professionals you can trust and typically make your office spotless from floors to ceilings and everything in between. Our top listed cleaners tidy thousands of houses every day but when they are cleaning in your home, it is the only home they care about. Your possessions, furniture and appliances are completely safe, and your trust is something they will never break. 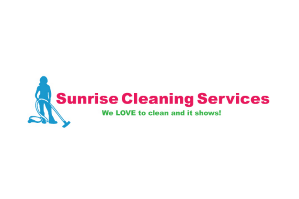 Their caring, professional cleaning staff ensure your individual cleaning needs are met whether you require your home cleaned weekly, monthly or for a one-time special occasion. If you’re on the fence, many of our local Oakville area cleaners have no-obligation in-home estimates to give you an idea of the potential cost. Whether you need a single room cleaned once a month, or you require an entire house to be cleaned bi-weekly, the professional cleaners listed on ImRenovating.com have exactly what you’re looking for. You can rest assured that your home will be spotless, and your satisfaction is all but guaranteed. For your entire house cleaning needs, be sure to check out our listings for skilled professional cleaners in the Oakville area. For all Top Quality Residential and Commercial Cleaning and Janitorial Services in The Oakville Area, look no further than the Cleaning Services section of ImRenovating.com, The Oakville Area's Ultimate Trade Guide!